Shopping for any recreational vehicle products on the internet is easy. As with just one search, multiple RVing products will show up. But while the internet simplifies and speeds up the process of research, we recognize how it is overwhelming and frustrating to look for and buy the right RVing accessory, gear or product we need because of too many choices. As fulltime RVers ourselves, we understand your desire to find the best products to install and use in your vehicle. So with passion for RVing and drive to help fellow RVers, we’ve created this website. We envision becoming your one-stop source of information about part time or fulltime RVing. Here, we’re featuring guides, tutorials, industry updates, news and other useful info for you, our beloved reader. On this website, we’re also publishing reviews and recommendations of products that you can choose from and compare to find the right one based on your needs and situation. Our goal is to become your one-stop website to come to when you need RV information and recommendations. We want to become your trusted source for info, advice and suggestions. Here, we’re going to cover different products. And why trust us? Simple – we’re real RVers that spend much of our time out there caravanning and exploring places using our RVs. Our passion to RV camping and our desire to share our knowledge and expertise in RVing are two reasons to trust us. We want to be your source for correct answers! We’ve started RVing back in 2007. We are duo who loves recreational vehicles. We love camping, so we thought owning an RV, instead of renting, is the more practical and better choice. And we know we made a great decision. Since then, we keep traveling and camping with our RVs. But after RVing for a couple of years, as we learned so much about it, we decided to put this website up. We noticed the need for RVing information and recommendation and recognized the huge demand for RV products. We decided to work on our website. 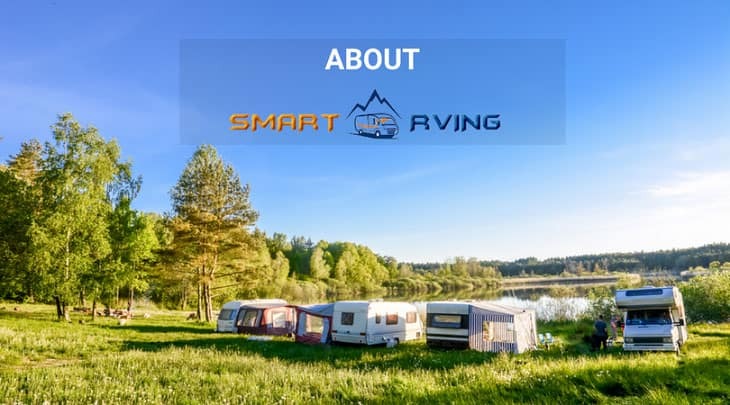 We have the combination of experience and skills in creating one of the leading websites for finding information about recreational vehicle products while also reviewing a few choices that we find valuable for our fellow RVers. With years of full time RVing, we’re proud to say that we have the comprehensive knowledge and expertise about RV lifestyle. There was no better feeling than creating a one-stop source online where our fellow RVers can find the answers to their questions, compare different RV products and eventually pick the right one based on certain factors, including their budget, needs and preferences. Our website is your one place to just sit back and relax to stop the never-ending hunt for what you’re looking for regards RVing. And with the mission to keep our website updated and fresh with MORE answers, guides and advice, we started accepting contributors, mostly other RVers, on our blog and website. Now, our team is growing – committed writers and campers who have the passion, practical experience and great desire to share their expertise in RVing. Except when sleeping, Arthur cannot keep camping out his mind. He loves RVing that he spends most of his time in his recreational vehicle and on the road. Arthur knows that this might change once he got married to the love of his life, Amanda. But the two have no problem, as Amanda also loves camping. In fact, the both of them are excited to have kids that would also love RVing. Arthur leads the team and ensures each member is motivated. 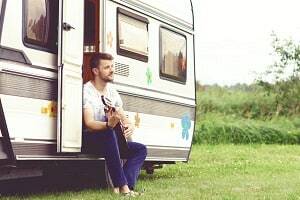 He knows the ins and outs of camping, including camping activities to make the adventure more worthwhile and memorable. He knows that camping can bring out much excitement and make each member feel wild. Arthur can lead and organize the group to ensure each one will be safe. Approachable and friendly, Arthur loves camping with Amanda and the rest of our team. He’s also tireless and hardworking, working for long hours at daytime, no matter how occupied his life is, juggling RVing, a small business and his love life. He won’t ever sleep on the job; in fact, he’s so tireless that he does interviews from time to time, too. Sometimes, he’s also invited to speak at RVer gatherings and other events. Aside from camping, Arthur loves photography, cooking and biking. Arthur also loves solving problems because he has this great motivation to inspire more people to do RV camping. For him, it is one of the most rewarding activities that both the young and the old would enjoy. 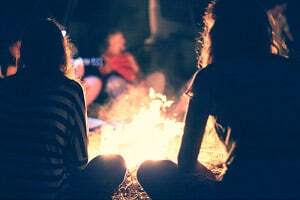 After all, there is no better way to spend quality time with the family other than to go camping and have outdoor adventures. Glen’s a camping addict since way back when, a time he could barely remember. He loves tools, equipment, gears, accessories, and doing repair on his RV. He’s a confessed DIYer, performing even the maintenance of his RV. Glen also loves dressing up his recreational vehicle to keep it in style. While he loves work in his RV, Glen also loves writing reviews, tutorials and blogs to share his knowledge and expertise with fellow RVers. Besides RVing, Glen loves music and playing instruments, including the piano and guitar. He told us once that he might have been a band vocalist had he not been a fulltime RVer. So whenever we’re having a bonfire, he plays instrument while singing. Our team is composed of passionate RVers, reviewers and writers that know the ins and outs of RV camping and lifestyle. We caravan most of the time, gaining new knowledge and information from time to time, and discovering more things out of something we thought we knew about fully. We’re amazed on how RVing has been teaching us more aspects about it that we never knew before. As our information and knowledge arsenal grows, our passion for RVing keeps burning, too. We would love to share our ideas, knowledge and expertise to you, our fellow RVer. We’re envisioning becoming your info source when finding recommendations, information, advice and guidance. We do hope that you visit our website often for fresh updates and content that will also help you improve your knowledge on RVing. Don’t think twice to contact us anytime should you need any help. We’ll be glad to answer your questions or assist you in making a good decision when looking for the best RV product based on your needs.